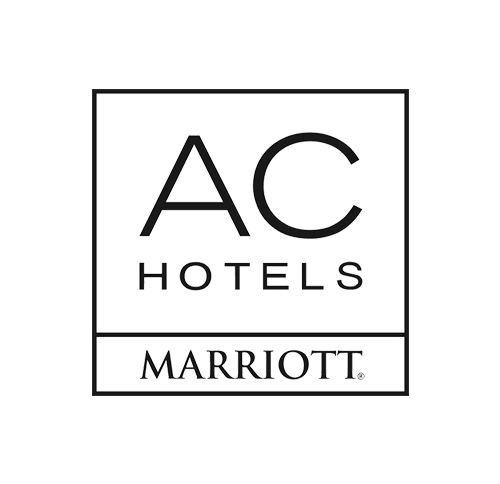 AC Hotels by Marriott is a design driven, select service hotel for the modern business traveller. To prepare the brand for rapid international expansion, we developed a new brand website and content platform. The brief was to humanise AC Hotel’s brand promise ‘Designed to deliver’ towards modern business travellers. Following the steps in our Empathy Loop we took a deep dive into the target audience. Diving deep into their lives, we realised that much like AC Hotels, business travellers only come with the essentials. Our approach resulted in a brand property under the flag: “Unpacked”. AC’s Unpacked is an online editorial platform that uncovers what inspiring entrepreneurs find essential to doing what they do. 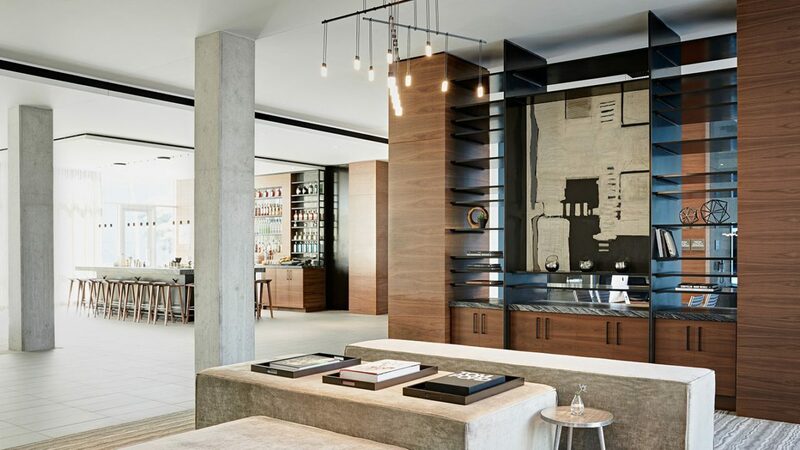 AC Hotels’ philosophy is to edit away all superfluous clutter and deliver the essential – exceptionally well. 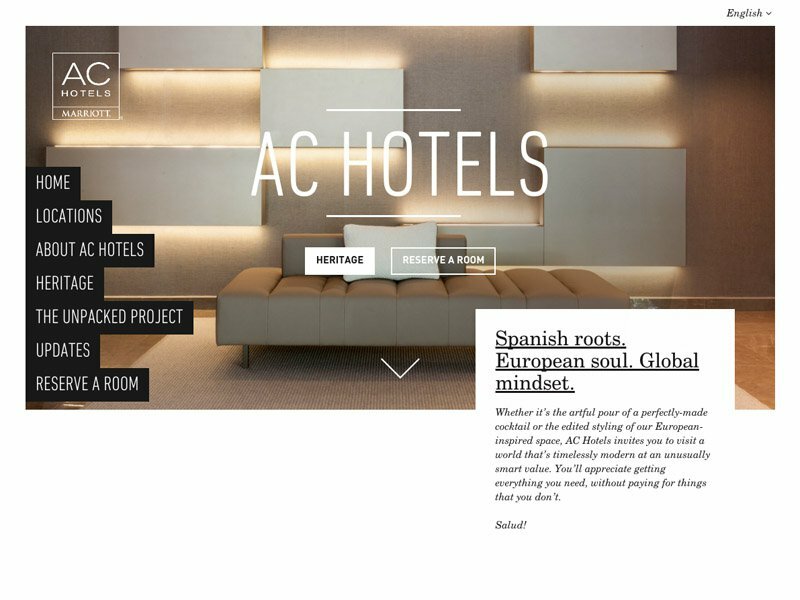 The brand website echoes the spacious, considered design and refined taste of the hotels with an editorial look & feel. Working with inspiring creatives and entrepreneurs, the Unpacked series investigates what drives people to see and make things that others don’t. 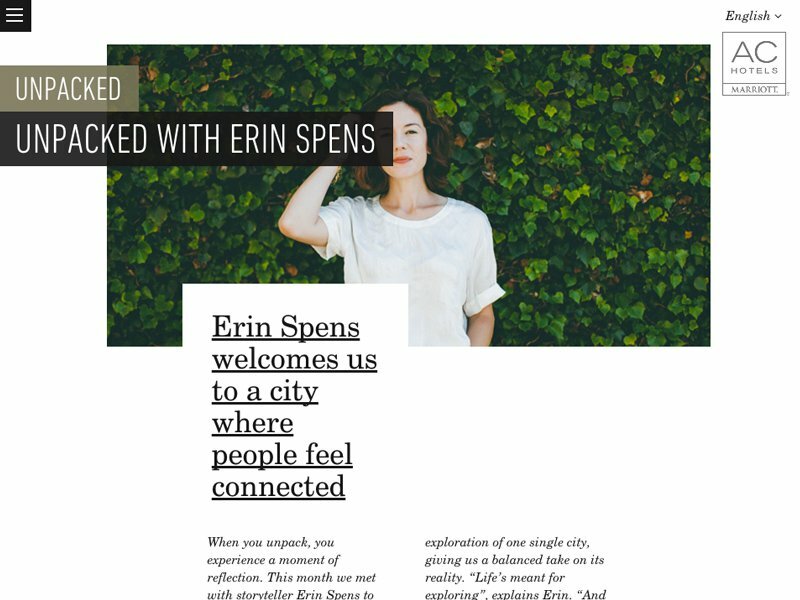 We unpack their stories, their ideas and the things that are essential to what they do. 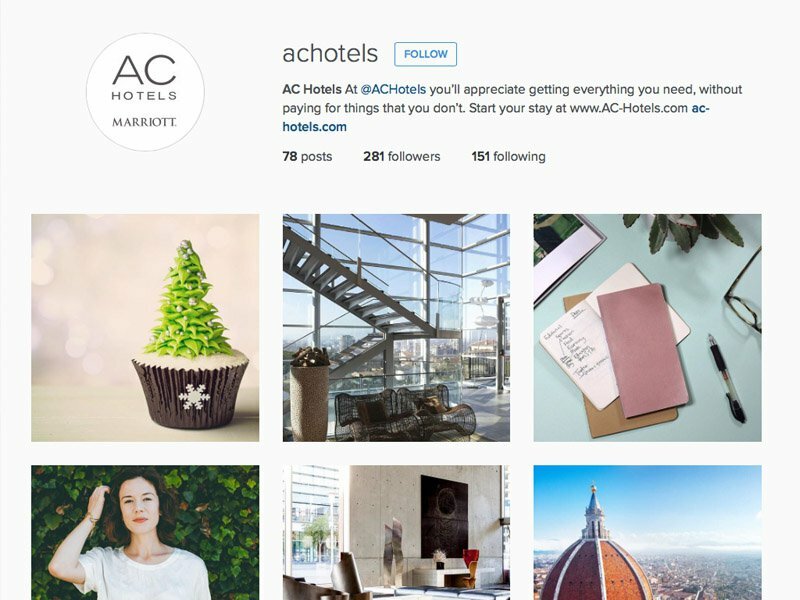 AC Hotels’ social channels are used to promote the brand mentality, product offering and content. An ongoing stream of organic and paid posts make sure the brand connects to young business travellers.